Set in present-day Manchester, this classic mid-life journey features the 1980s soundtrack from Angie's youth, and sees her travel the world whilst coping with life after the Ex. Angie's journey is the catalyst her friends need to examine their own lives; as they start to find their true callings, will Angie find hers? Witty, entertaining and laugh-out-loud funny, this feel-good debut novel shows it's never too late for a second chance. Well this little gem of a book was just what I needed when I was feeling a bit low, not unlike Angie Shepherd at the start of The Mercury Travel Club. I think I read this whole book with a smile on my face and certainly struggled to contain my laughter, indeed many laughs did escape whilst reading this book. Angie was looking forward to her silver wedding anniversary when her husband, Alan, left her for a younger woman. Forced to sell their family home and start a new life, Angie may feel like curling up and feeling sorry for herself but her friends and family have other ideas. Her hilarious friend, Patty, is instrumental in keeping Angie on her feet as she takes a few tentative baby steps on the road to singledom. Patty gives the impression that she's a bit of a man-eater but she's more words than actions and has an absolutely enormous heart of gold. I couldn't get enough of Angie's hilarious mother; I really looked forward to her appearances and couldn't wait to see what imperfect pearl of wisdom she would come out with next. Angie works in a travel agency and has a lovely boss, Charlie. When Angie decides to make her dreams a reality, Charlie offers her a business partnership where they offer themed holidays and The Mercury Travel Club is born. Like all best laid plans, things often go wrong but that is the charm of the club. Angie keeps a cool head and is calm under pressure, making her trips much sought after, despite some attempted bad press. As the Entrepreneur of the Year awards approach, Angie sets her sights on the award. Will she win it? Whatever the outcome, you'll be sure they'll have a good time! 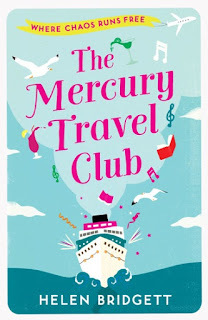 With such an impressive debut and a fabulously witty writing style, I am overjoyed to see that Helen Bridgett plans more books in The Mercury Travel Club series. 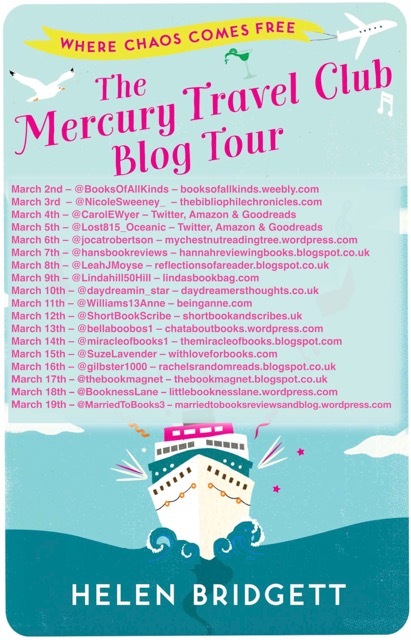 The Mercury Travel Club is hilariously funny and a perfect pick me up. If I had a passport, I'd certainly sign up! 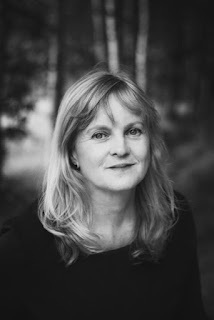 Helen Bridgett was born in North-East England and now lives in Manchester having stopped off at a few places in between. 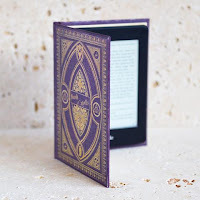 Having failed miserably with every New Year's resolution that involved giving up food or drink, one year, she set herself a completely different goal - to write a novel and give it as a Christmas present. 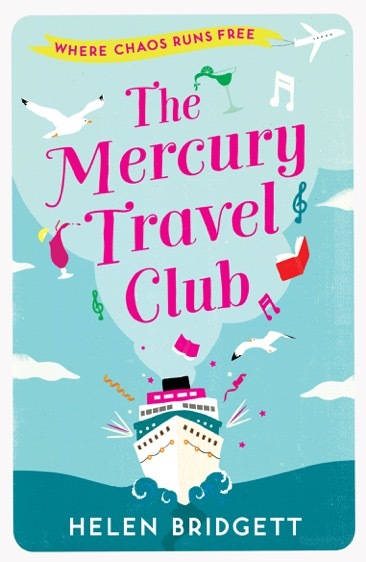 The Mercury Travel Club was born and the characters took on a life of their own. Outside of writing, Helen loves hiking and wine - not usually at the same time.